New book, 145 pages. 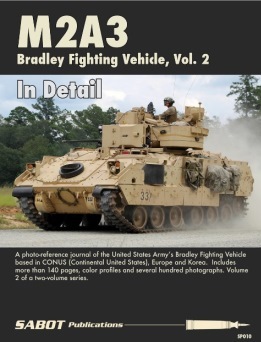 Volume 2 of 2 volumes on the M2A3 Bradley. Covering Continental United States (CONUS), Europe, and Korea. Walkaround of both the exterior and interior, coverage of the B-FIST, color profiles, and more than 144 pages of photographs.